If you are looking to hire coaches for the guests, or the car for the bride & groom then no one will beat our services at Mayfair Coaches. Give us a call now to discuss what you want and we are sure to find something to suit your taste. 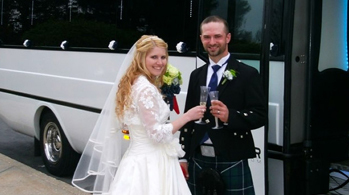 Coach hire Wedding, Minibus hire Wedding, Mini bus hire Wedding, private car hire Wedding, car hire Wedding.